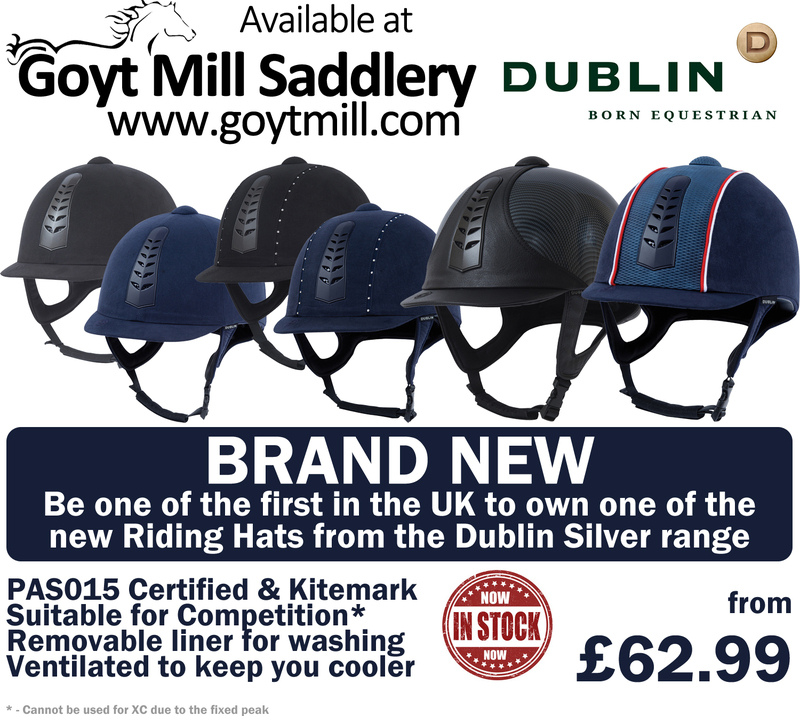 Goyt Mill Saddlery: JUST ARRIVED - The new Dublin Silver range of Riding Hats! JUST ARRIVED - The new Dublin Silver range of Riding Hats! Available exclusively at Goyt Mill Saddlery as one of the launch partners for this amazing new range. The range all feature PAS015 Certification & Kitemarked, suitable for competition including PC*, removable liner for washing and ventilated to keep you cooler.